This examination is being given to fill one full time vacancy in Correctional Health Services and to establish an eligible list to fill future vacancies.  The Nurse Practitioner I /II-Inpatient opening is in Correctional Heatlh Services located within the San Joaquin County Jail. Correctional Health Care is responsible for providing medical, dental, and mental health care to the incarcerated adult and juvenile population. Elicits, records, and/or reviews medical histories and performs acute primary care pre-employment, annual, periodic, and various other routine physical examinations on patients ranging from newborn through geriatric, utilizing the problem-oriented medical record or other appropriate systems; provides general and specific health and medical instruction to patients, clients and families. Coordinates individual and family health management, utilizing physician resources or- community agencies; provides guidance instruction, treatment and referral in such areas of family planning, sexually transmitted diseases (STD), Acquired Immune Deficiency Syndrome (AIDS), drug abuse, child care and hygiene; assists patients with selection, fitting and placing of appropriate contraceptive devices. Performs early diagnostic examinations including vision, hearing, pap smears, and other examinations; may order laboratory tests, x-rays, electrocardiograms and other diagnostic tests; may collect specimens for, perform, and interpret selected laboratory tests and take action on abnormals as necessary; provides immunization and gives injections. Identifies basic complex medical conditions; determines if patient's medical, surgical, and psychiatric problems require immediate consultation with the physician; treats conditions and manages stable phases of chronic illnesses on consultation with or following specific protocols established by physicians, including dispensing and/or administering medication when indicated; alerts appropriate medical personnel and/or agencies of potential community health problems as encountered. Provides routine prenatal care and post-partum follow-up for mother and child; conducts newborn and well child examinations; provides comprehensive health screening assessments; provides treatment of pediatric illness. Observes and evaluates emotional condition of patient; counsels and supports patients in the area of psychosocial problems and inter-relationships; provides emergency treatment or referral for patients with severe emotional upsets. May work in hospital, outpatient, custodial, public health, satellite and mobile staff; may make home and school visits; may lead ancillary clinic staff; may coordinate clinic activities; may orient and oversee nursing students, medical students and other providers. Provides for Quality Assurance through review and audit of clinic charts to assure adequate medical management and follow-up; provides consultation to other providers. Keeps records and completes forms and questionnaires as required. Attends meetings and workshops; serves on committees as assigned; provides consultation and assistance in areas of specialty to other areas of Health Care Services; participates in and may conduct in-service training. Education: Completion of an approved Nurse Practitioner training program at an accredited college or university or certified program. Experience: One year as a Nurse Practitioner. Licenses & Certificates: 1) Current Registration as a nurse and certification as a Nurse Practitioner in the State of California; 2) Current possession of a furnishing license through the State of California, Board of Registered Nursing. Special Qualification: 1) In order to practice at San Joaquin General Hospital, must be credentialed and granted privileges through the San Joaquin General Hospital Committee on Interdisciplinary Practice (CIDP) within ninety (90) days of appointment and in accordance with medical staff bylaws and state regulations. New employees may be granted temporary privileges by the Medical Director or designee, pending Committee Interdisciplinary Practice approval; 2) Eligibles may be certified only to job vacancies in the area of specialization in which they possess specialized education and certification. Additionally, the successful completion of approved nursing training programs, possession of specific nursing experience or the possession of specified professional certificates may be required depending on the nature of the area of assignment. The general procedures, techniques and equipment used in family medicine, community health, mental health and professional nursing; medical terminology, various hospital and clinic routines, equipment and facilities; full range of medical conditions of applicable medical specialty including procedures utilized in prevention, diagnosis and treatment; maternal and child health practices; basic laboratory procedures; uses, effects, problems and treatment of abuse of medicines and narcotics; social, public health, mental health and other community treatment agencies; principles of human behavior including basic causes, symptoms and treatment of mental illness and instability; basic medical record keeping; diverse needs and problems of various cultural groups; principles and practices of communicable disease prevention, diagnosis and treatment. Elicit and record complete and accurate medical histories; perform physical examinations; identify medical conditions which require immediate consultation with the physician; follow protocols in treating acute and stable chronic diseases as established by physicians; communicate effectively; recognize the behavior and attitudes that influence individual and family health; observe and evaluate emotional conditions; interpret laboratory data; provide guidance and health instruction to patients; lead and train other staff; work with high risk clientele; learn to work independently in absence of on-site physician direction. Mobility-Frequent standing for long periods; constant walking; occasional pushing/pulling; occasional bending/squatting; Lifting-Occasional lifting of 5 lbs. or less, restraining, lifting/turning people; Visual Requirements-Frequent color perception; occasional eye/hand coordination, peripheral vision and depth perception; frequent reading; Dexterity-Occasional holding and repetitive motion; frequent reaching, grasping and writing; Hearing/Talking-Constant hearing normal speech, talking in person, talking on the telephone; frequent hearing on the telephone and hearing faint sounds; Emotional/Psychological-Occasional emergency situations, exposure to hazardous materials, working weekends/nights; overtime; frequent exposure to trauma, grief an death; constant public contact, decision making, concentration; Environmental Conditions-Frequent exposure to noise; occasional exposure to hazardous materials.